That’s the last time I posted on this blog. You should know that I’ve been drinking good wine and eating great food the whole time… But, sometimes, life gets in the way (I’ve got all these kids, now!). 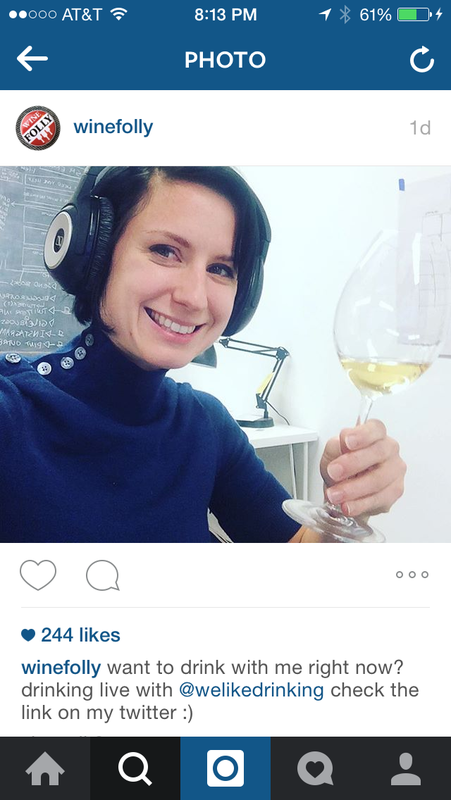 Even though I don’t post here as often as I used to, Stay Rad Wine Blog will be here forever. If that’s not enough Jeff for you (I mean… Who doesn’t need more Jeff in their life? ), you can always join me on the We Like Drinking Podcast (available here, or download on iTunes) every Friday. The Troon Vineyard 2013 Black Label M*T Reserve was sent to me as a sample for review a few months back. It’s a wonderfully odd field blend of 57.67% Malbec and 44.33% Tannat. It’s a big, dark, and juicy wine from Southern Oregon that would give many a Napa Cab a run for their money. It also goes great with Taquitos! The 2014 Pinot Noir from A Blooming Hill Vineyard was another sample sent for review. The husband and wife team of Holly and Jim Witte named their two Pinot Noir blocks after their dogs (Gemini and Trouble). This “Trouble” has a super fun nose of mushrooms, tomatoes, strawberries, raspberries, and wet rocks. The palate is surprisingly sharp and fresh on the first approach. Loads of tart cranberries, red currant, and (would you believe it?) lime zest. 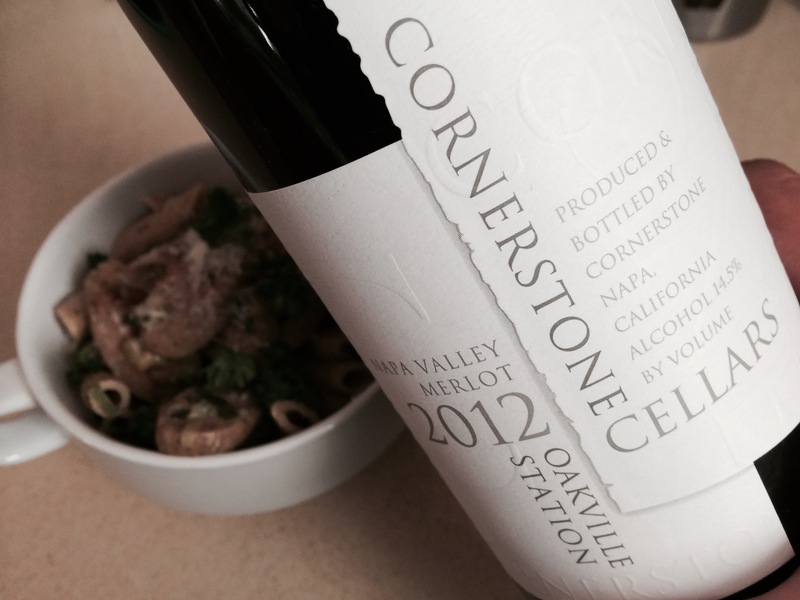 If the high acid up front scares you, don’t trip… It becomes much more approachable with time in the glass. That Pinot Noir is a great pizza wine. The combination was a beautifully juicy and round meal… Perfect for a Friday night at home with the one you love. Every week, when Jim, John, Jeff (the other Jeff), and I sit down to record the We Like Drinking Podcast, we each bring a different beer or wine to taste during the show. I rarely put much thought into what I’m gonna be tasting. 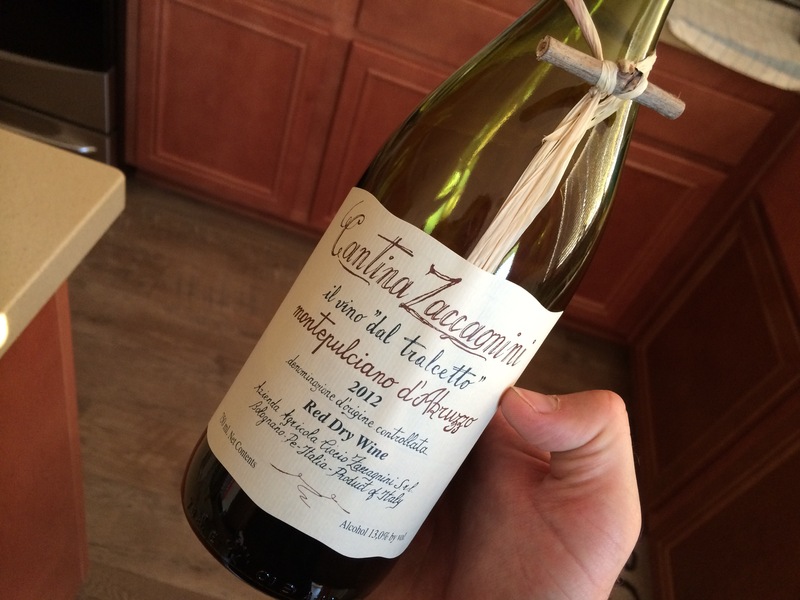 This week, we had our first guest on the podcast… The incomparable Martin “One Take” Redmond of Enofylz Wine Blog. Not only is he one of the best wine bloggers in the game today, but he is also one of the nicest guys in the world of wine. 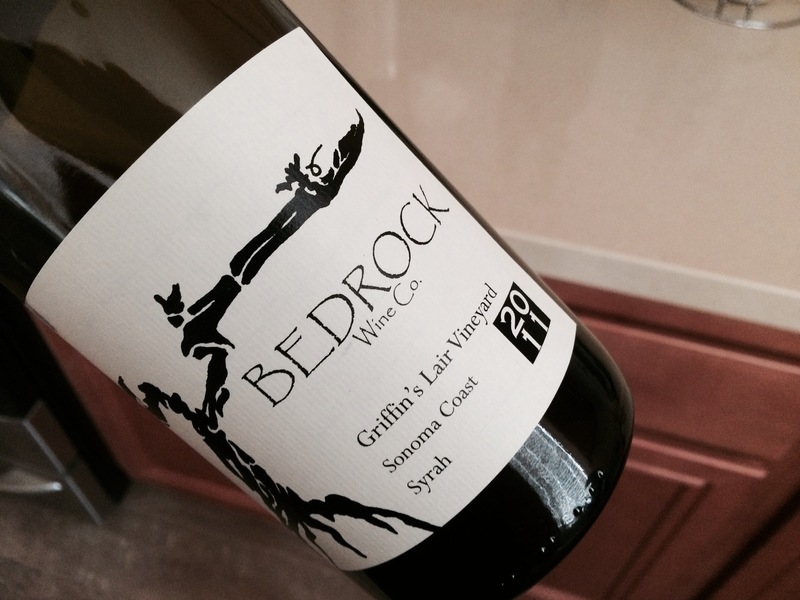 A few years back, when I mentioned to him that I had an interest in Bedrock Wine Co., Martin helped me get my hands on this bottle of their 2011 Griffin’s Lair Vineyard Syrah (a mailing list only wine). When Martin agreed to be our first guest on the podcast, I found it only fitting to open this bottle. 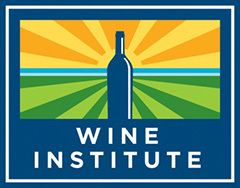 Griffin’s Lair Vineyard is in the Petaluma Wind Gap, a cool-climate region of Sonoma County. 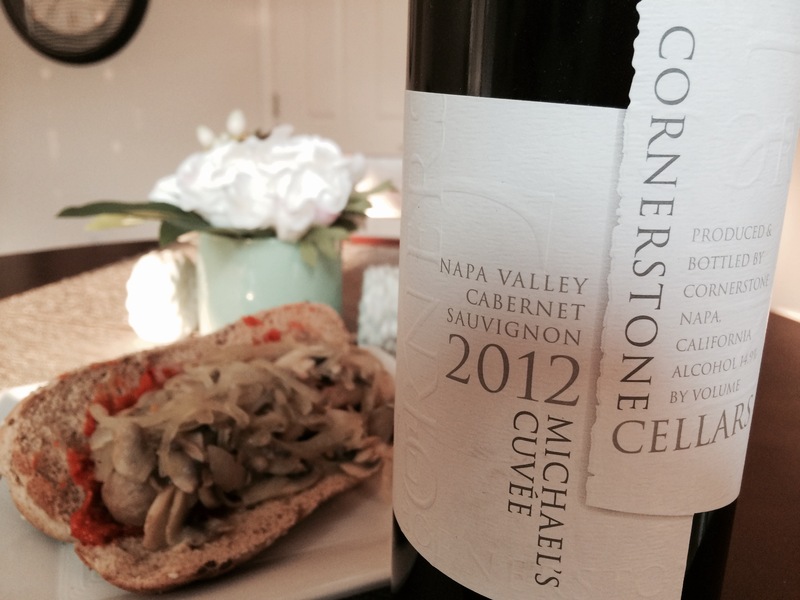 This Syrah is co-fermented with 11% Viognier, which gives this spicy and lush wine an awesome, floral nose. Those who have been listening to the podcast should also be jazzed to know that Bedrock Wine Co. does not put capsules on their wine bottles. 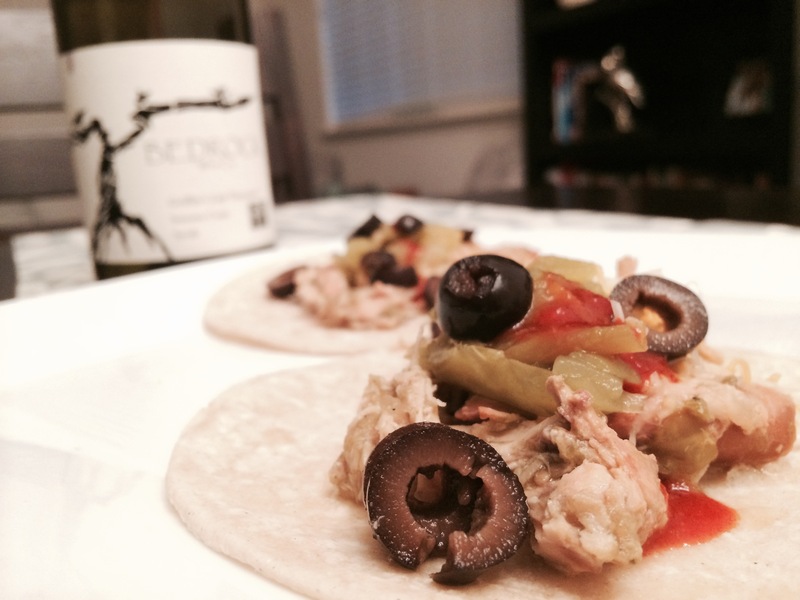 Also, this wine goes great with tacos! Be sure to click this link to listen to this week’s episode of the We Like Drinking Podcast (or search us up on iTunes) with our special guest, Martin Redmond, to hear more about this wine, and everything else fit to talk about in the world of wine.